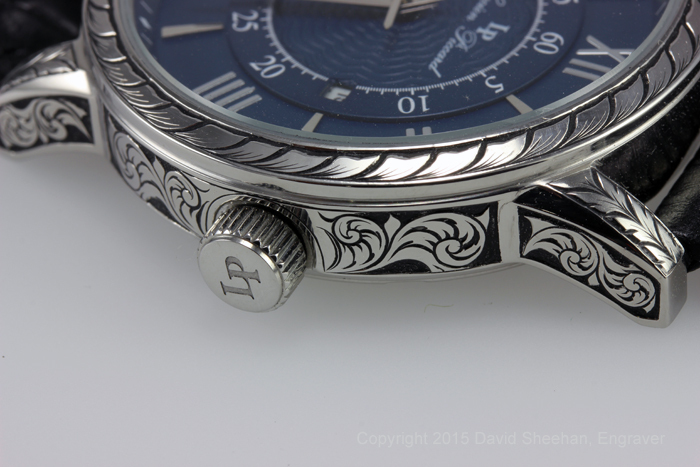 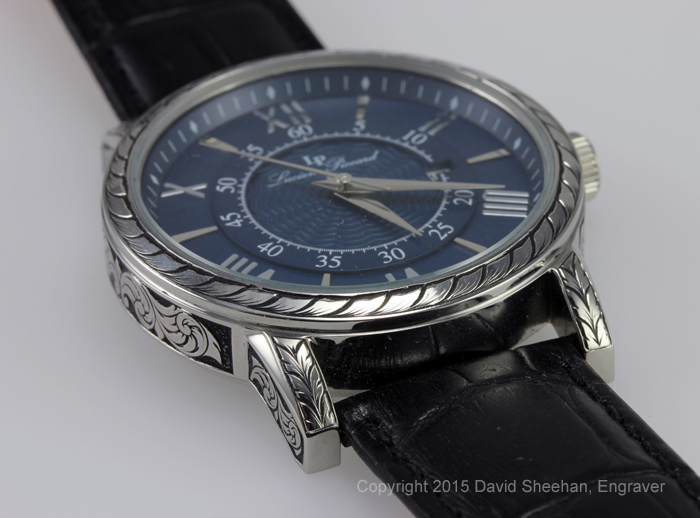 Hand Engraved Stainless Steel Watch. 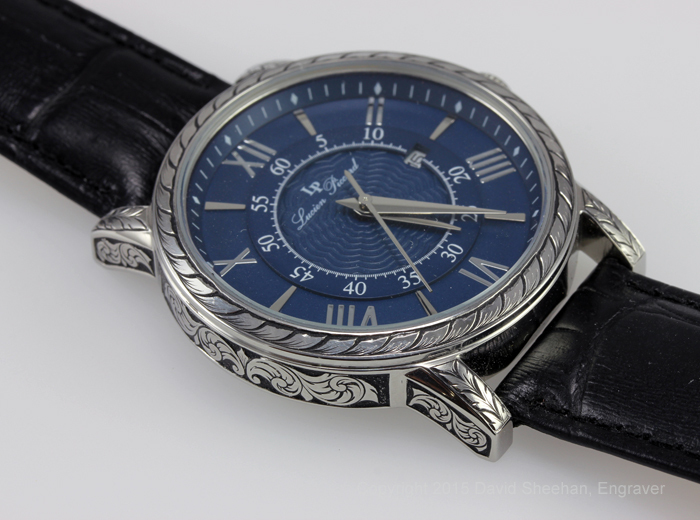 This hand engraved watch features a running leaf design around the dial and some deep relief english scroll engraving on the sides. 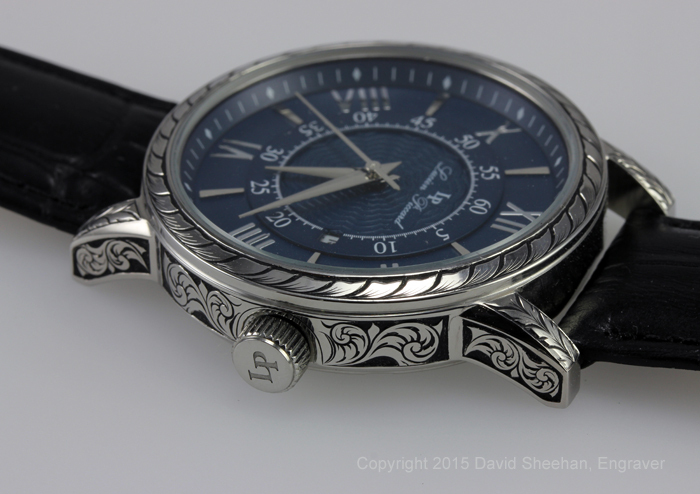 Although this is not an expensive watch, the hand engraving certainly gives it a unique and elegant look.